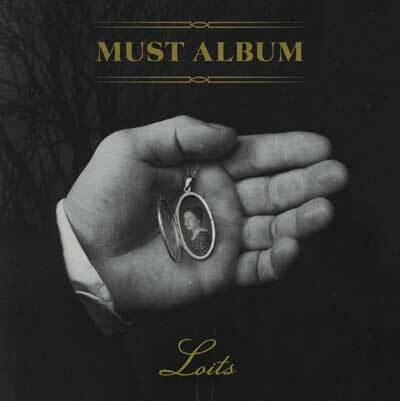 EstonianMetal.com - News | Pre-order LOITS "Must album"
Today is the solemn date that we are proud to announce the pre-ordering of the both versions of “Must album”. After trying on some boots of Spanish origin, the admired musicians were ready to agree to anything, meaning, this time, the signing of all pre-ordered records. After a few entertaining hours in the company of a searing iron and a torture wheel, the people of Loits began wondering about offering up even more surprises. The good old practice of lashing gave root to the idea to raffle off among the pre-orderers of the limited edition the silver medallion depicted on the album cover. One of the pre-orderers of the regular version will also receive the guitar strings used during the recording of “Must album”. The last day to pay for the pre-order is May 31, 2007; we’ll start sending out the records on June 4th at the latest. If you are unable to reimburse us in the seven days following the receipt of our purchase verification, please contact us in person; otherwise your order will be deemed null and void. To pre-order “Must album”, visit Nilboard Records webstore.